"Morrissey lyrics scrawled on a wall in blood. A talking corpse wearing a t-shirt with the word FUNKY printed on it. A gift received from a severed head in a washing machine. These are just a few of the things you’ll encounter in Killer7, a bizarro PS2-era shooter that is now finally available on PC." "And all the guns are named after songs by Pixies, Dinosaur Jr., and The Smiths, which is just cool." I am not nostalgic for this era in gaming regardless of pop culture content. So ugly. This is sooooo coool ! 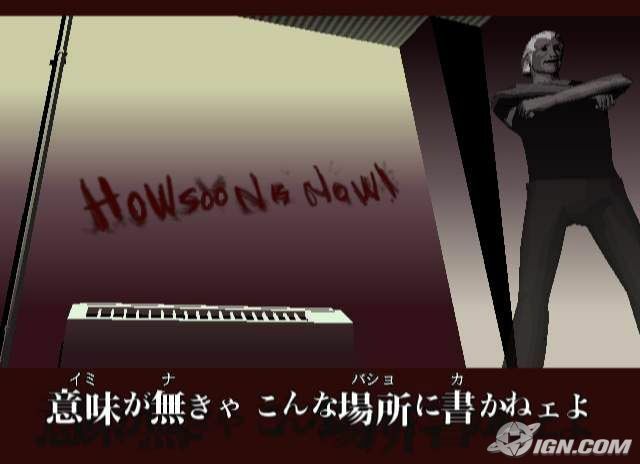 Killer 7 like most Suda titles is a fascinating Lynchian nightmare. It may not be the most fun game but it is wonderfully surreal so looking forward to checking it out again at some point.